Smooth, hairless skin on virtually any part of your body. Being no stranger to unwanted hair, particularly blonde hair on my upper lip, I sought out electrolysis to permanently rid me of hair in that area. Being extremely happy with my results, I continued with treatments to my underarms, bikini line, eyebrows, etc. because I was just tired of tweezing or shaving and dealing with ingrown hair. 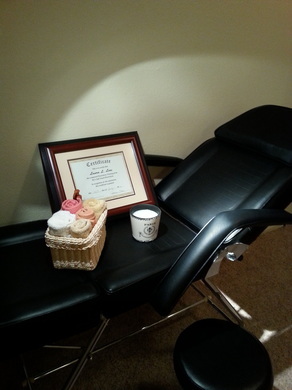 Having undergone treatment, I can empathize with my clients and their hair removal needs. Sometimes we have hair growing in places we just don't want, and I can help you with that in a private, confidential setting located in Canon City, CO.
Electrolysis has made me feel better about myself and I in turn want to help you feel better about yourself. So I decided to make a career of it, and I can now assist you in becoming hair free. Please contact me at 719-237-8811 for a free consultation.